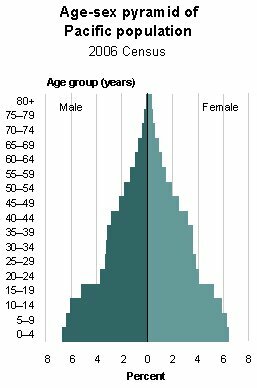 By 2051, there will be over 1.14 million people aged 65 years and over in New Zealand. This represents an increase of 715,000 or 166 percent over the base (1996) population. They are expected to make up 25.5 percent (or 1 in every 4) of all New Zealanders (4.49 million). At present there are about half as many elderly New Zealanders as children. By 2051, there are projected to be at least 60 percent more elderly than children. 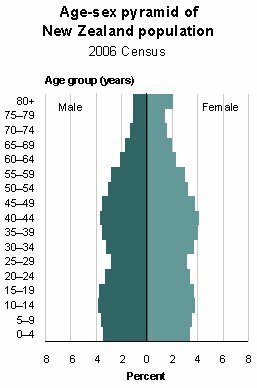 Given the prospects of sub-replacement fertility, increasing life expectancy and the passage of baby boomers into retirement ages, it is projected that half of all New Zealanders will be older than 46 years by 2051, compared with the current median age of 34 years. More dramatically this can be seen in the age structures of NZ over time. A proportion of this is due to the increasing lifespan in NZ. An even higher proportion is due to the drop in birth rates and the steadily increasing age at which mothers have children. 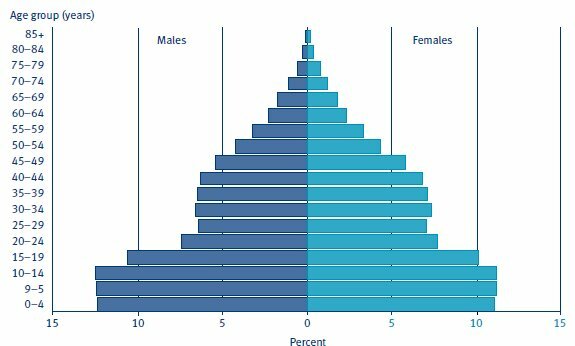 When you separate out the ethnic component*, you’d have to look at Maori (~14%) and Pacifica (~5%) fertility rates as markedly helping maintain the age balance of our society. Because of the structure of the current superannuation system, these are the people who will increasingly be paying for it (since National has given up paying into the Cullen fund for the foreseeable future). * Only a fool or someone as deluded for ideological reasons as Don Brash would not look at significant differences between populations when it comes to making policy. “or” isn’t really the appropriate conjunction there. A nice set of delusions put out by Statistics NZ to keep the uninformed masses believing present arrangements have a future, and that past trends can be projected into the future. By 2051 extraction of the oil that has been keeping the balk of the population alive will have fallen to zero (or thereabouts), and NZ will no longer exist in its present form. If the Earth hasn’t been rendered largely unihabitable by 2051, it will be well on the way to that point via abrupt climate change, species extermination and a acidification of the oceans etc. The sea level could have risen by anything up to 7 metres by 2051, depending on how quickly positive feedbacks reinforce one another. Indeed, there is no evidence whatsoever that present living arrangements will persist much beyond 2015. We are at a point of major discontinuity in terms of energy, the environment and the economic systems, all of which are unprecendetd in human history. That fundamental truth is clearly unmentionable in official circles, of course. Much of the world may well resemble apocalyptic movies in the near future-“The Road”, “Soylent Green”, “BladeRunner” etc. but there is still room for optimism that last minute corrections in human behaviour will occur. There are many hundreds of smalltime corrections going on in individual people and communities mr mountain. They are just a very small minority of a minority. And anyway, those stats are a classic case of glass half full or glass half empty stuff. What’s the problem? So the population is older. Provided everyone is happy and healthy then I don’t see that there has to be a problem. Who is going to pay for the increased superannuation and health services? The current superannuation system requires that current working tax payers pay for current elderly. If the number of elderly goes up as a percentage of the population and the number of working tax payers goes down – that means that taxes must go up or that the level of services and entitlements goes down. Of course the rational alternative would be to pay more taxes now to ensure that the burden is less on the those taxpayers of the future. But the greedy will of current tax payers was expressed in the election of stupid and short-sighted NAct government – who immediately stopped saving for that alternative. Of course the rational alternative would be to pay more taxes now to ensure that the burden is less on the those taxpayers of the future. Doesn’t work. Saving money won’t magically make any more actual resources available. The only choice we will have is a better, more equal distribution of the resources that we have. The only thing that will work is investing now in our youth and in making NZ a more self sufficient and sustainable economy. Saving is pointless if the capacity is not going to be there. QE or rampant inflation from too many baby boomer dollars chasing too little production is the inevitable result of current short sighted policies. That’s if the savings do not disappear as the US dollar goes down the toilet. Aren’t you forgetting that there are far fewer ‘pre-work’ people in the population and that there is roughly twice the number of people in work as previously? (women). So fewer youngsters to be financially provided for. Far fewer women to be financially provided for, who are to boot, now income earners (a double whammy). And that society somehow, mysteriously was able to provide the necessary financial support to all those retiring (with all their elevated chilhood illness) with ‘half’ the income generating capacity (bugger all women in the workforce) when they were of a pre-work age? The ‘we need to raise the superannuation age’ argument is a vaccuous attempt at redistribution of wealth; theft. That’s correct VTO, a lot of individuals are doing their bit, consuming less and thinking about their actions etc. where I live there has been an encouraging regional uptake of recycling, transition towns type planning, an environment centre that employs people in real jobs, marine reserves and so forth. I should have added “major” to ‘corrections’ as that takes in the corporates and governments. While we have a nasty enduring nuclear waste backlog the doomsday clock of actually deploying nuclear weapons was eventually wound back significantly by peoples organisation which is why I am optimistic that peak oil and planet warming can be worked around, but it will be a very different world as Afew says. Lprent may not like it (and that is a speculative statement) but part of saving the planet will involve eradicating the parasite system of capitalism. The capitalist class have had most of the 20th century and all of this one to prove that trickle down works and have failed miserably. The unsuccessful socialist countries of the 20th century are no longer an excuse to prop up capitalism (TINA). 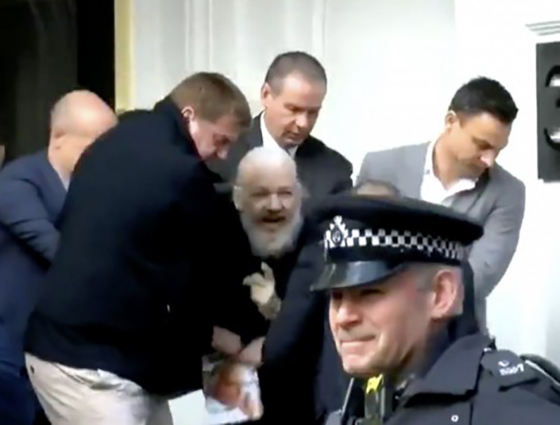 The authoritarian governments of most concern at present are the western ones such as the UK where elites cling to power with surveillance tactics and force amongst alienated sectors of the population. Any imagined new socialist project could only succeed with wide participation and support in the modern information age. Pensions, and the definition of work itself in different populations would be mere details with the bludger class dispatched. Labour has often presented as the politics of the possible, but things are changing quickly now, a triple dip recession anyone? The capitalist class have had most of the 20th century and all of this one to prove that trickle down works and have failed miserably. Actually, they’ve had the better part of 7000 years. Every time we’ve gone into a hierarchical type society it’s ended up with massive poverty and exploitation by the few and then finally collapsing. If you want to see the eradication of capitalism you will also need to eradicate the individuals will and ego, that which drives them toward betterment and individual advantage. That is what props up the whole concept, why so many tolerate it. Human nature contains both the will toward the collective and toward the individual: what we have allowed in capitalism a mechanism that allows the balance to be skewed too far towards the individual. That is what Key taps into with “aspiration”, the idea that you the individual are above the collective, why should you pay your fair share to the collective when you are better than them? Nothing wrong with betterment. Why not develop talents or learn etc? So, no need to ‘eradicate the individuals will and ego’, just introduce a different context for it to play out in; one that doesn’t reward greed and avarice – one that rewards solidarity, autonomy, equity etc. 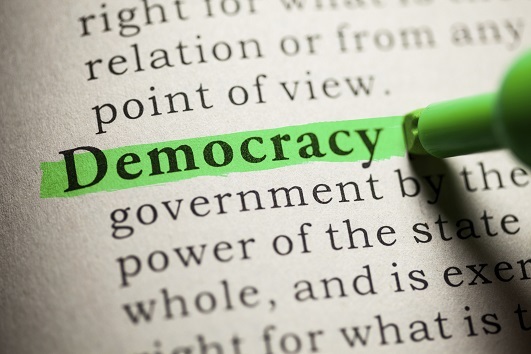 A democratic economy as opposed to our current dictatorial market economy would be such a context. And it can be done right now (is being done right now) by small but increasing numbers of people and enterprises. You might find the essay linked below interesting and hopeful if you have the time to read it. Around 29 minutes in Orlov explains that in a clasic gift economy, social status and individual prestige is based around your generosity and how fair and magnanimous you are in your relationships with others. Will, ego and face is still there: but the structure it is embedded into is intrinsically different to a “market economy”. TG – i just dont see any change coming at all until too late. When i was at vasity not so long ago finishing post grad stuff i did a study of all the students on what motivates students at vasity etc and after…result were basically money to buy stuff and be mega wealthy, a very small percentage had ideals outside this normative bahaviour patterns. We called it the ‘auckland syndrome’. The true left, at this point, are lacking in recruits esp while apathy reigns or materalism and consumerism run rampant and snuffs any other social desires or aspirations. Most people seem to have difficulty understanding the concept of overshoot. Our entire society is in overshoot – population overshoot, energy overshoot and environmental overshoot. Tweaking the system slightly cannot correct overshoot. Even tweaking the system dramatically will make littte difference at this late stage. Collapse is the only thing that can correct the degree of overshoot we have. Therefore we need to prepare for collapse. As long as people are focued on maintaining overshoot everything that actually matters will get rapidly worse. It looks like it’s dying but it’s hardly been born. They had some really interesting material on the impact/implications for the the regions (some already in negative territory) and the economy. Laughed out loud at this post, the charts represent the usual lazy solid state linear academic thinking. Its like economists and their predicitioons of the future in which only growth occurs, no shrinking allowed. How about the demographers modelled futures based upon a plague or a famine or three? 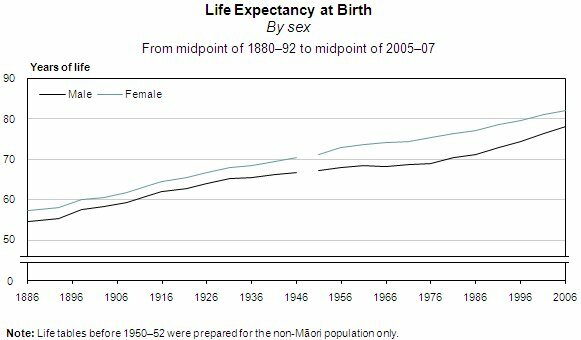 What happened in the late 1950’s/early 1960’s for such a massive drop in fertility? Teh Pill, women’s rights movement and increasing wealth/education.